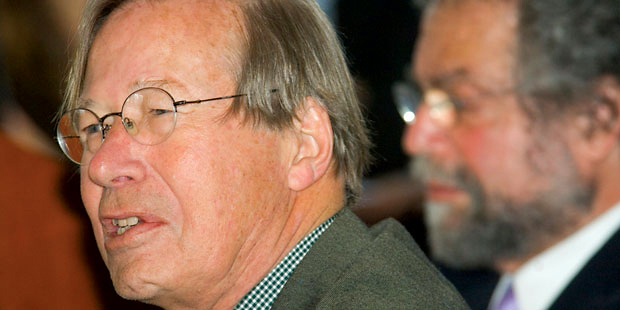 Prominent legal theorists gathered in Norway and New York to honor Professor Ronald Dworkin, winner of the prestigious 2007 Ludvig Holberg International Memorial Prize for outstanding scholarship. (See “Dworkin Wins Holberg Prize,” page 7.) Dworkin, who is Frank Henry Sommer Professor of Law and Philosophy at NYU and Emeritus Professor of Jurisprudence at University College London, is renowned for his work tying together philosophy and moral, legal and political issues. The NYU seminar, in April, included talks from Cass Sunstein of the University of Chicago Law School and Lawrence Sager of the University of Texas School of Law. Sunstein spoke on his longheld view of judicial minimalism, the idea that judges should avoid sweeping pronouncements in their decisions. A few intellectual clashes occurred. In “Social Rights and Legal Interpretation,” Sager noted Dworkin’s work had influenced him, but took issue with his view that there are no social and economic rights enshrined in the U.S. Constitution.